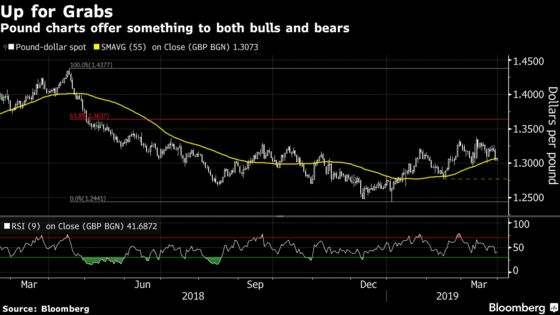 (Bloomberg) -- Analysts expecting the pound to rally more than 5 percent on a market-friendly Brexit resolution may be too optimistic. 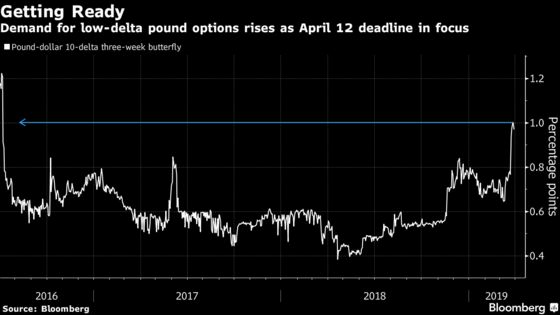 Some see the pound rising toward $1.40 by the end of June on anticipation that the U.K. will opt for a softer Brexit, or even cancel it. While Parliament taking greater control of the process has boosted the chance of a more favorable outcome, these calls may prove overconfident as current pricing seems to mainly factor in positive scenarios and overlooks potentially negative factors.